At The Law Offices of Fernando D. Vargas, we are passionate about standing up for the rights of individuals who have been hurt at the hands of others. No case is too complicated—our firm has the skills, experience, knowledge, and dedication required to tackle the toughest personal injury cases. This includes cases where liability may be difficult to prove and where the severity or even the very existence of the victim’s injuries is disputed. 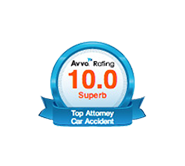 Results – Attorney Vargas is a results-oriented personal injury attorney who works hard to secure maximum compensation for each and every client. He has an excellent track record of success, including multi-million dollar settlements and awards. You can trust him to fight for you in or out of court. 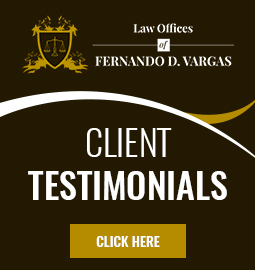 Experience – Attorney Vargas has been litigating personal injury cases since 1987, first as a defense attorney and now as a plaintiff’s attorney. This experience gives him valuable insight into how defense attorneys and insurance providers think and what arguments need to be made to convince them to provide full and fair compensation. Personal Attention – At The Law Offices of Fernando D. Vargas, you’re not just another client. You will be treated as an individual and given unparalleled personal attention and respect at every step of your case. Attorney Vargas will keep you informed and updated about the progress of your case and be available to address any questions or concerns promptly. Pay Nothing Up Front – As long as you have valid legal grounds for a claim, Attorney Vargas will personally advance all the money necessary to prepare your case for settlement or trial. You will not have to pay any attorney fees until after we win your case. If we don’t win, you don’t pay. Free Legal Consultation 24/7 – Because time is of the essence when responding to a personal injury accident, Attorney Vargas makes himself available to prospective clients 24/7. Simply call us at 877-982-0707 now to request your free case evaluation and let Attorney Vargas start building your claim for compensation today.